For the longest time I didn't truly have a proper beach or pool bag; but when this Barrington Gifts tote arrived on my doorstep I knew that it was going to be a summer staple for me. I have been using it the past few weeks at the beach/pool and even love to use it as my work bag. Below are some of my favorite items to bring along with me for a day in the sun! 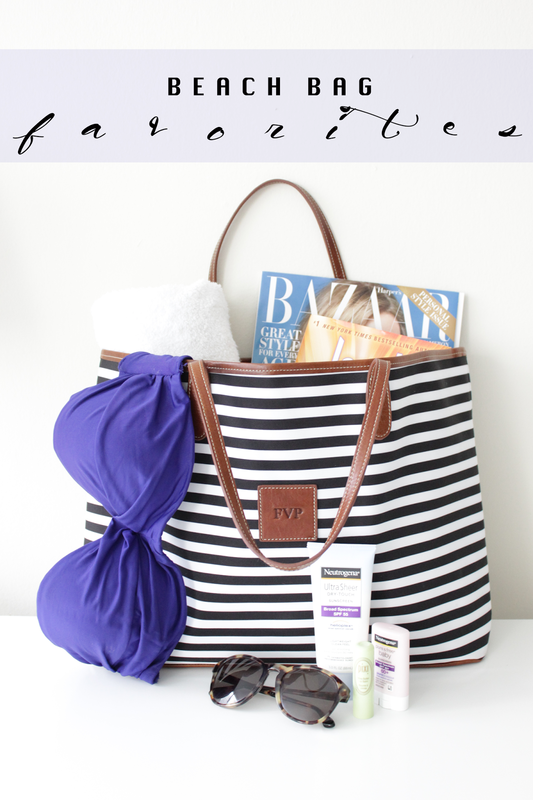 What necessities do you keep in your pool/beach bag? I'd love to hear in the comments below! I'm not very consistent as far as packing a bag for the beach! Sometimes I use one and other times I don't. I try to keep what I bring to a minimum! Just a towel, sunnies, a book and my phone usually do it! And sometimes a yummy cocktail! Love this bag by the way—I would definitely use it for work as well as the beach.